Tungsten Carbide rings with gold finish add a certain style and shine that cannot be matched. 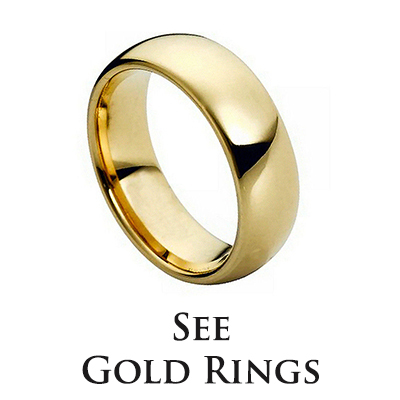 These rings combine the durability of Tungsten and the brilliance of gold for an absolute stunning look. Unlike other jewelers, all of our rings contain a real gold finish, so you can rest assure you’re getting the highest quality Tungsten ring.